Under the auspices of the Student Activities Department, the faculty of Engineering held an individual sports day on Tuesday 5/12/2017. 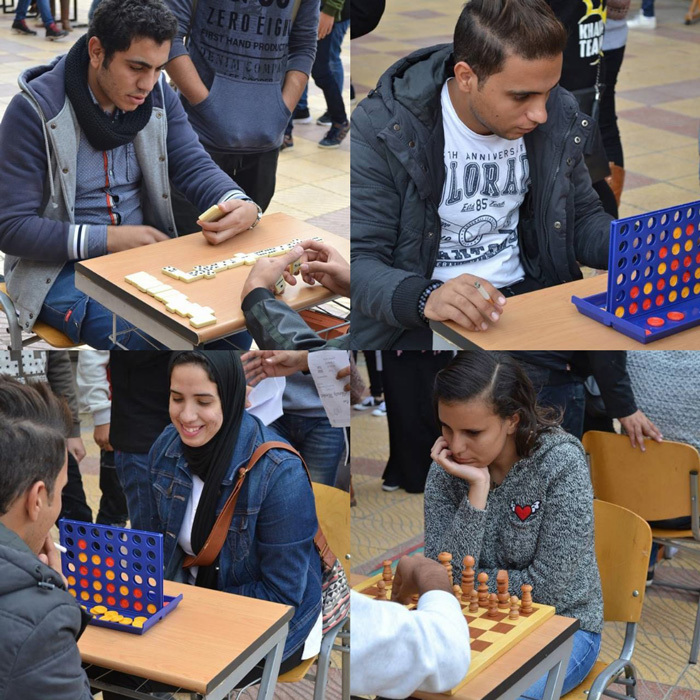 The day included many individual sports like Chess, Dominoes, Ludo and PlayStation. A considerable number of students participated in the sports day, along with some academic staff members. This was held under the supervision of Dr. Alaa Khalil, the Student Activities Coordinator.